Recently we announced about our “AudialsOne Platinum 4” Giveaway. Today is the day for announcing the 3 lucky winners of the giveaway. 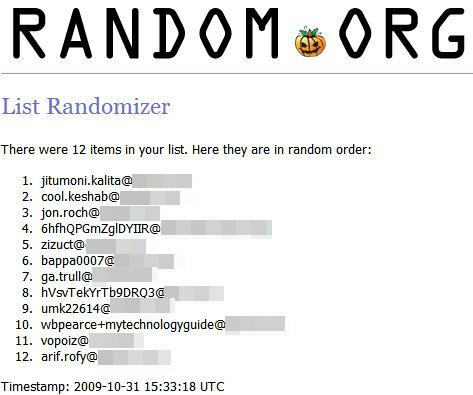 We have used Random.org’s List Randomizer service to generate the winners randomly. Enough of waiting for everyone, here comes the list! The first three in the list are the lucky winners. Congratulations to all the winners and best of luck for our next giveaway. thank you,,, i am very much exited..